This room was great a team challenge. The decor of the room brings you back to Dodge City. 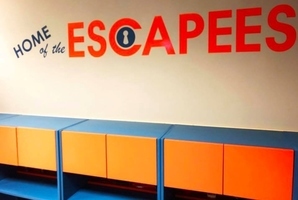 If you like escape rooms, you will love this one! It's the 1800's in the Wild West. 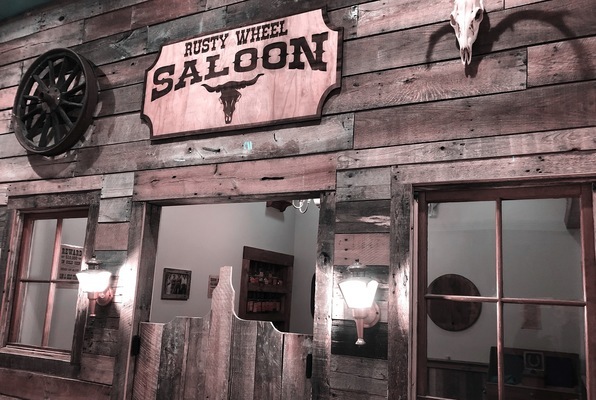 You were at Rusty Wheel Saloon and ended up gambling. A group of outlaws accused you of cheating. They challenged you to a shootout at High Noon. Unfortunately, you must have left your six-shooter somewhere in the saloon! The saloon doesn't open until later this afternoon. You and your posse have one hour to find your journal, uncover the secrets and tricks and find Gertie, your trusted pistol, before Zeke and his band of outlaws come back. Reviews of escape game "High Noon"
The overall theme and atmosphere of the room really added to the enjoyment of the problem-solving. Set up in such a way that everyone can work on a single thing and a time, and still be productive. Great job! The western theme was really cool. You could tell a lot of time was put in to the details making it feel right. Puzzles were challenging and the staff was great. Highly recommend this room. Can't wait for the next one.